Edit: Sadly, I've just heard that this event has been cancelled. 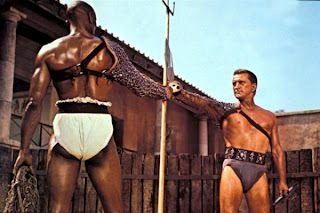 Following on from last week's showing of Jesus Christ, Vampire Hunter at the Phoenix Cinema, Leicester, I've just received word that they will also be playing Stanley Kubrick's classic 1960 film Spartacus. Deleted Scenes, Interview with Peter Ustinov, Interview with Jean Simmons, Behind-the-Scenes Footage, Vintage Newsreels, Theatrical Trailer, Production Stills, Concept Art, Costume Designs, Saul Bass Storyboards, Posters & Print Ads, My Scenes, and BD-Live. In any case, the film is playing at 7pm on the 12th March, and I, for one, intend to be there. Many people think that colour only arrived in cinema only arrived sometime after the Second World War. However, the use of colour in moving pictures goes right back to cinema's earliest days. Early films like The Life and Passion of Jesus Christ had no Technicolour processes, so resorted to hand colouring significant elements of each shot. Another technique, used to great effect, was to employ coloured filters, not only to add interest visually, but also to convey the mood of any given moment. Hence a blue filter is used for a shot of Jesus peacefully praying in From the Manager to the Cross, and a red filter anticipates the danger Saul is exposing himself to in Death of Saul 1913. Some of the earliest films to experiment with colour were in fact films based on the Bible, Cecil B. DeMille's The Ten Commandments (1923) and The King of Kings (1927). Again, the colour in these films was not used merely to impress, but also to stress particular high points. In Ten Commandments DeMille experimented with the new process for the scenes of the exodus - capturing both the joy and the sense of entering a whole new world. With the latter film he saved the colour for the resurrection, and, initially at least, for the opening scene. Later cuts of the film reverted to black and white footage at the beginning, suggesting that DeMille concluded that it was best to save the technique for the story's theological climax. The epic scale of many Bible films meant that they were often ideal productions in which to use expensive, but profitable, colour film stock. Movies such as Samson and Delilah (1949), David and Bathsheba (1951) and DeMille's 1956 remake of The Ten Commandments helped forge a trend in particularly vivid colours. One Bible film to make particularly good use of these colours was Nicholas Ray's 1961 King of Kings (pictured above). One notable example is Jesus' outer garments which change from brown prior to ministry, to red when he is at the peak of his powers, and then again to white as he becomes the spotless sacrificial lamb. The significance of different colours of clothing is also used well in La Genèse (1998). Whereas Jacob and his family wear predominantly wear bright blue, Hamor and his people wear orange. The use of these two complementary colours highlights the gulf that exists between the two peoples, but when God arrives he does so in a dazzling display of white. In contrast to the bold colours of the epics, Last Temptation of Christ (1988) uses a very monochrome brown colour palette to stress Jesus' humanity and to contrast Jesus the peasant with the riches and power of Rome. But like most films by Martin Scorsese, red is another prominent colour symbolising the final spilling of Jesus' blood. Of course in this respect, red is a prominent colour in many Jesus films, none more than The Passion of the Christ. Whilst the film opens under an eerie blue filter, the rest of the film is dominated by red blood. More recent films have seen another innovation in the use of colour. 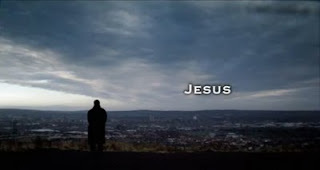 Son of Man (2006) and Colour of the Cross (2006) both used actors of colour to portray Jesus. This choice not only highlights Jesus' relevance to all peoples, but also the completeness of his incarnation, not only coming as a person, but also as a person from a specific race, place time and culture. 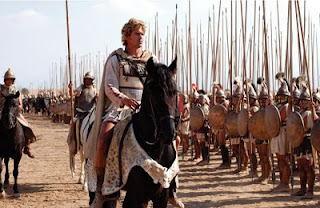 As I mentioned whilst reviewing last week's instalment of The Bible: A History my review of this week's entry has been posted at rejesus.co.uk (as well as a preview piece I wrote a fortnight ago). I do have a few additional points to add. Firstly, as with previous episodes there were clips from various Bible films. I struggled to recognise most of those from last week's episode, so it was a relief to fair rather better this week. The excerpts were mainly from Life and Passion of Jesus Christ , The Living Bible series and The Living Christ series with another shot from The Westminster Passion Play (at a guess). Secondly, it seemed a bit ambitious for the programme to take on the whole of the Jesus story, and this left certain elements feeling a little up in the air. For example, the discussion about Jesus' birthplace not being Nazareth has featured in numerous documentaries over the years and didn't really add a great deal to proceedings. It was useful to see Helen Bond giving him some pointers, I suppose, as it gave his visit to the Holy Land some context and legitimacy, but there were various moments which felt like they didn't really fit. For me, I think, this was the strongest episode so far, and I do find Adams and his faith fascinating. One point that did grate however, was when he talked about his faith being private. I think it loses that aspect when you go on camera to talk about it. Next week it's historian Tom Holland looking at Paul. Hopefully he will continue the series' recent good run of form. Edit: John Crace of The Guardian clearly disagrees with me. I've been reposting a couple of my articles that have disappeared from the web this week, and in addition to The Apocalypse which I posted on Wednesday, I've now also republished a 2004 article I wrote on the Return of the Epic. It was one of the first pieces I ever got published anywhere by anyone so it's nice to see it have a home once again. I can still remember writing it in my parents backgarden the day after getting back from watching Troy. There are probably a few things I would change there now, but it is what it is, and I kind of prefer having a true record of where I was at back then, than polishing it up, removing errors and pretending that my best then was the same as my best now. On a personal level I found Sunday's fourth entry in The Bible: A History the most enjoyable so far. 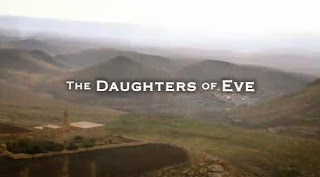 As you'd expect from its title, Daughters of Eve moved away from the format of the previous 3 programmes (all of which focussed on only one part of the Bible) to survey a range of woman from the Bible. As you'd expect, presenter Bettany Hughes started by looking at Eve, before moving on to examine Deborah, Bathsheba, Jezebel, Mary, Salome, Lydia and, most surprisingly, the second Jezebel from the book of Revelation. Along the way she spoke to various female scholars who gave us extra insights into the biblical text. I stress my personal enjoyment of the programme because for someone a little bored of the conventional takes on these characters, and comfortable with the possibility of bias in the biblical text, it was nice to have something a bit more interesting to think on. The attempted redemption of Jezebel for example is something I'm still thinking about and weighing even a few days later. And it was interesting to hear that some parts of Jewish tradition, and I stress the some, consider the woman of Genesis 1 not to be Eve but a different woman entirely, Lilith. The potential problem with all this is, I think, that this wasn't just a programme made for me and my ilk, but a broadcast programme on a national TV channel. Biblical literacy is low enough amongst the church, let alone the general populace, and I guess I'm a little uncomfortable with the weight given to some of these more obscure theories. And, as Doug Chaplin points out, it's strange that Ruth and Esther didn't get talked about, though sparing us another alternative take on Mary Magdalene was definitely a smart move. Having said all that, perhaps this isn't really too much of a problem; after all how many people are really going to turn to Channel 4 expecting a traditional take on anything? In fact, Channel 4 has done so many religious history programmes in this demythologising style that the majority of those tuning in are perhaps likely to be those open to alternative takes on these stories. What I did appreciate about the programme was the way it stuck to being about biblical history. 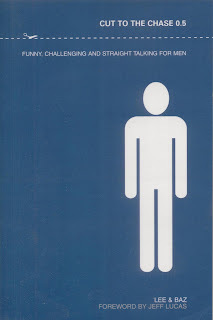 Whereas the previous three programmes had used the Bible as a springboard for exploring their own agendas, this one (whilst undoubtedly still driven by Hughes's agenda) felt like it stuck closely to its core subject matter. Perhaps this is because Hughes is a historian, hence her agenda is a re-reading of the history advertised in the programme's title. There's seemingly no change of gears when her agenda comes to the fore. In contrast, Widdecombe is a law maker, once she gets onto her own agenda it is far more obvious. The other key strength of the programme was that Hughes came at it with a conviction that the Bible does, actually, indicate the strength of some of its heroines. Augustine may have obscured Eve, but the same church elevated Mary. Jezebel may be castigated for her show of female strength, but Deborah is praised for it. Bathsheba's reputation may only be slightly mitigated once we understand her context, but Lydia's is clearly strengthened once we understand hers. So all in all, whilst I have a few qualms about the programme's balance, it was certainly the strongest entry so far, and one which I'd like to watch again to pick up some of the subtleties of what was said. Next week Gerry Adams will launch the series' New Testament section with a look at Jesus. I'll be reviewing that one fairly soon afterwards at rejesus.co.uk where I currently have a piece previewing the Adams episode. The invention of cinema opened up whole new possibilities for comedy. Whilst the very early comic films could only reproduce slapstick acts from the theatre, once cinema began to find its own visual language, it quickly became the most popular comic medium. It was some time however before comedians sought to explore religious subjects, kept at bay initially by early twentieth century piety, and then later by the Hayes code. Little surprise, then, that the first religious comedies were made in Europe where the code had little effect. Spanish director Luis Buñuel's career included numerous films which took a scathing look at religious themes, but it wasn't until his 1969 film La Voie Lactée (The Milky Way) that he featured characters from the Bible. Jesus appeared in several scenes - as a small boy; being persuaded by Mary not to shave off his beard; at the wedding of Cana; and failing to heal two blind men - as does a modern-day Hosea. The most well-known comic Bible film is undoubtedly Monty Python's Life of Brian filmed ten years later in 1979. In many respects however it is not a Bible film at all. Jesus makes only the briefest of cameos at the start of the film, and whilst we do later encounter a leper whom Jesus has healed, the rest of the material is purely fictional. The film tells the story of Brian, also a crucified, first century, Jewish leader. For a comic film, it's remarkably well informed, indeed it was the Python's research that ultimately persuaded them that rather than focus on Jesus, they should target religion instead. Yet the primary reason for its enduring popularity is first and foremost because it is consistently funny, featuring prominently in numerous lists of the greatest comic films. Having witnessed the success of Life of Brian, other filmmakers tried to make religious comedies in a similar style. The following year, Dudley Moore and Richard Pryor starred in Wholly Moses, which blatantly plagiarised the Python's idea, only this time it told the story of a man whose life bore remarkable similarities to Moses. Unfortunately, it wasn't nearly as funny, barely raising a laugh throughout. 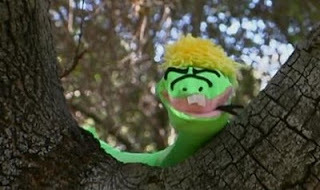 Moses also starred in Mel Brooks' compilation of historical skits in The History of the World: Part 1. Moses (played by Brooks) appears in a style strongly reminiscent of DeMille's 1956 Ten Commandments, carrying not two but three tablets of stone. In a moment of clumsiness he drops one of the tablets and God's original fifteen commandments are cut down to ten. Later on Brooks also appears as a waiter at the Last Supper, ultimately finding himself holding a halo-like plate behind Jesus' head when Leonardo turns up to paint a group portrait. The storm of controversy caused by 1988's Last Temptation of Christ meant that film studios were far too nervous to release any potentially blasphemous comic films in the 90s, but the new century has witnessed a new crop of comedy films with some basis in the stories of the Bible. Genesis has been a particularly popular source of material spawning films such as Year One (Cain and Abel to Sodom and Gomorrah), Evan Almighty (a modernisation of the Noah story), The God Complex (most of Genesis, but also includes a few other parts of the Bible) and The Real Old Testament (Creation to Jacob and his wives). The Ten turned to Exodus for its inspiration instead, building a sketch around each of Moses's Commandments. Of these more recent films, The Real Old Testament (pictured above) is easily the funniest, despite being an independent, low-budget film. It succeeds because, like Life of Brian, it is so very familiar with its source material. This gives it a strong base from which to mine the humour which exists in the gap between biblical culture and our own, and help viewers to gain a new perspective on stories that are, at times, over familiar. What's significant about these films is that two of the five were made by established studios on big budgets, demonstrating that it has, at last, become acceptable to mix the Bible with comedy. 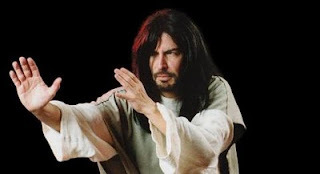 Cult Film fans in the UK might like to know that Jesus Christ, Vampire Hunter will be playing at Leicester's Phoenix Cinema this Friday at 11pm. Having never had the chance to see it (I suppose I could have bought the DVD), I feel I really ought to go along just so I can say I've seen it. I do have rather mixed feelings about it, but my hunch is that calling the lead character Jesus is just a ploy for a catchy title; I don't think the Jesus of the film will have anything much to do with the Jesus of the Bible. So if you live in the East Midlands and you fancy an odd night out, I will maybe see you there. This is an old review I wrote years ago for a different site, which is now no longer available. I just came across it today and thought I might repost it here. I take no responsibility for the content however - I've only had a chance to skim it, and even then I noticed a reference to CGI which is probably completely out of date now. There have been numerous attempts in the last ten to fifteen years to use the book of Revelation as major source material for a screenplay. Predictably, most of the resulting films have landed somewhere between disappointing and just plain awful. The biggest weakness has generally been low production values. However, this has usually been bolstered by detached, futuristic, interpretations of John’s apocalypse in turn creating fictional scripts that speculate on how Revelation’s bizarre imagery will come to pass in “reality”. Unfortunately, this has sustained the impression many hold that Revelation is a bizarre, virtually impenetrable book, leaving those who feel uncomfortable with such alien end of the world scenarios disillusioned with John’s apocalypse altogether. It’s a relief, then, that Lux Vide’s The Apocalypse locates its story in the past, preferring to focus on John (played by the late great Richard Harris) and the group of churches in Asia he is responsible for. It is against this background that we see John (who is hiding under the pseudonym Theophilus) receive his visions. The task of covering 22 chapters of the biblical text, whilst building sufficient context around it is so huge that the producers wisely boil it down to its key components. 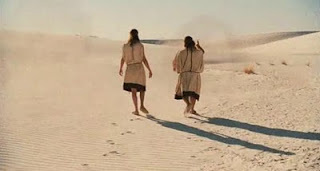 For example, the film recognises the parallel nature of the seven seals / seven trumpets / seven bowls sequences, and wisely focuses, almost exclusively, on the first. By book-ending the film, and the main section of Revelation’s content, with abbreviated forms of John’s own bookends, the gist of the apocalypse is left largely in tact. This abbreviation process is also aided by focussing the non-visionary section of the film on just one of John’s seven churches, that in Ephesus. The previous twelve films in Lux Vide’s ‘Bible Collection’ series were nearly all named after their protagonist. It seems strange, therefore, that they have not followed suit with The Apocalypse, particularly given the associations of poor quality filmmaking and the lunatic fringe such a title brings with it. As the film unfolds, it becomes clear that it is really about John. The non-visionary parts of the story actually take up the most of the film’s screen time. 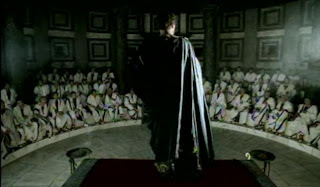 So its no surprise that the film’s opening shot briefly introduces us to John, before jumping to Domitian’s announcement of his divinity and then to the Ephesian church. There we are introduced to Irene (who met John many years ago) and Valerius, who we soon find out is a Roman spy. Having worked his way into the church in Ephesus, his next mission is to infiltrate the group of Christians working in the mines of Patmos, where John himself is rumoured to be imprisoned. Domitian hopes that finding John and executing him, combined with a rigorous campaign of violence against the church in Asia, he will be able to stamp out the Christian faith altogether. Inevitably there are also a few factual quibbles. For example, most scholars question whether the John who wrote Revelation was the same John who was one of Jesus’ original twelve apostles and the reign of Domitian has clearly been shaped to suit the overall narrative. However, this type of deviation is really just a by-product of disseminating the material for a wider audience, which the film does admirably well. Where the plot really lets itself down is when it begins to deviate from its starting point, overcomplicating matters by introducing sub-plots of escape, power-struggles, pseudonymity and romance - not to mention the painfully inevitable conversion of Valerius. The two main aims of these sub-plots appear to be to add extra interest to the story, and to emphasise just how wise John was. The former falls flat on its face whilst the latter seems largely unnecessary, leaving little grounds for their inclusion. The film’s other major flaw is its use of CGI. The film’s release has been delayed by two years and during this time CGI come on in leaps and bounds. However, even accounting for that, much of the CGI seems either forced, anachronistic or just poorly executed. The project’s demands are huge – alternating between realistic scenes on earth and supernatural scenes in heaven – and although it’s a worthy effort, the CGI is sadly not up to it. Hence, The Apocalypse is unlikely to be a film that cinephiles, theologians or historians embrace too closely (even though it embraces the style of interpretation favoured by most scholars). It is to be hoped that such weaknesses can be forgiven by audiences because it is an important film. Artistic interpretations of the Revelation have almost always focussed on the bizarre aspects of the text. This has resulted in the book being gradually nudged towards the fringes of Christian belief where it is less of an embarrassment. 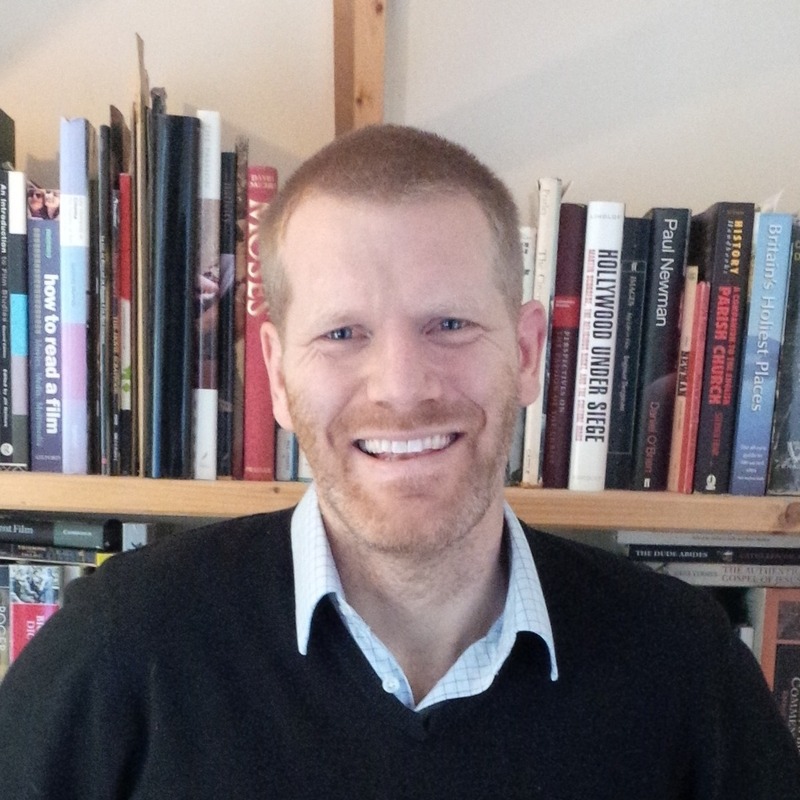 Where this project excels is by locating the imagery in its original context so that potential applications of its message to 21st century Christianity can begin to emerge. The film is an important starting point, turning back the clock on centuries of misinterpretation and over-active imagination. So whilst there are a few weaknesses and potential quibbles, its overall thrust should be loudly applauded. Having previously dispatched Creation and Abraham, Channel 4's The Bible: A History finally arrived at The Ten Commandments on Sunday. Tory MP Anne Widdecombe was hosting this particular instalment - a call to return to the values of the Ten Commandments in our society today. Widdecombe's always been a quirky character. During the last Tory government she was unpopular for being something of a battleaxe and slated for her bad dress sense and terrible hair. Whilst I begrudged her politics I secretly admired the way she didn't seem to care too much about how she looked. In honesty, she just looked like a typical woman of her age, but as was the case with Susan Boyle, to appear "normal" in front of the TV cameras is apparently shocking. Anyway she held onto her seat and served for a while in the Shadow Cabinet before retiring to the backbenches. As the Labour government's popularity started to wane, her popularity has seemed to grow a little (albeit with a new hairstyle), and I was beginning to admire her, not least because, much as I disagree with many of her views, she practises what she preaches and seems to have integrity. It was no surprise that she was one of the few politicians to come up smelling of roses in the recent expenses scandal. Her Christianity has always been important too her and has seemingly shaped her views. 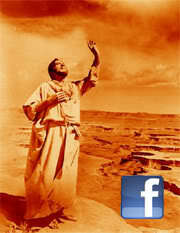 The programme started with an overview of the Moses story, featuring some choice clips from DeMille's 1956 film. This was intercut with various commandments flashing up on screen and Widdecombe bemoaning how the Decalogue has slipped out of fashion in the last few years. Next up was an interview with Exeter University's Francesca Stavrakopoulou. She presented ideas such as the non-existence of Moses, the exaggerated numbers of Israelites in the Bible, and that the Torah may not have been written by Moses, but it was all disappointingly brief. Stavrakopoulou hadn't even had the chance to utter the words "documentary hypothesis" before Widdecombe dismissed her theories, brushing aside her arguments in manner that suggested she wasn't going to listen to a word of it. Widdecombe was similarly brusque with atheists Christopher Hitchens and Stephen Fry. The segment was introduced by footage from their recent Oxford debate, but quickly moved on to their one-to-one conversations afterwards. It's difficult to see what the programme makers were trying to do with this section. The major part of the Hitchens interview was taken from the end of their conversation, as he was quite literally walking out. Walking out rarely makes anyone look good, but including it and very little else it also made Widdecombe look bad. Was this the only part of the interview where she held her own even remotely? Fry was a slightly different matter. Widdecombe was never going to fair well against a national treasure such as Fry, but his familiar affability was largely absent. There was something distinctly odd about seeing the usually mild mannered Fry describing the law of Moses as "hysterical rantings" in a fashion that could be described as as both something of a rant and somewhat hysterical. But that said, Fry raised the better points. Yes, "Thou shalt not kill" is laudable, but the Ten Commandments are a mixed bunch. Widdecombe seemed to be pushing for them to be enshrined in law, but never acknowledged the potential difficulties this might involve. For example, how could "do not covet" be policed? And does Widdecombe really want a society where it is against the law to worship any God but the God of Christians and Jews? That is far more extreme than I could have imagined. Is this what she actually thinks or has she just not thought it all through? Interspersed with all this was some interesting background information regarding Alfred the Great basing the first English law on the commandments, and a 17th century Puritan revival in Dorchester, but again these segments seemed a little odd. I enjoyed hearing about Alfred but couldn't help wondering why the academic they wheeled out to discuss a fairly insignificant point was given quite so much time. And the Puritan revival story made me wonder again what, exactly it was that Widdecombe is hoping for. A return to Puritanism? If she's to get her wish then she is going to have to become a lot more persuasive than she was in this outing. I couldn't help but be reminded of a criticism levelled at another middle-aged woman similarly devoted to the Commandments from DeMille's 1923 version of The Ten Commandments. "You're holding a cross in your hand but you're using it like a whip." Lastly, for those interested, it would appear that Clayboy's Doug Chaplain broadly shares my opinion on this programme. Empire Magazine has just released it's list of the 50 Worst Movies Ever Made and in their at number 43 is Biblical comedy Year One. Whilst I'm pleased to say that I've only seen 4 of the films on the list (the others being Superman IV, Raise the Titanic and Matrix Revolutions) it does seem pretty harsh on Year One, which gave me a few good laughs. I can think of plenty of worse films. Still it's often said in relation to best of lists that time changes how well films are perceived, with the flaws in films which were hugely popular/praised at the time becoming gradually more apparent. I'm not sure how this works in this case? Does it mean that Year One will ascend into mediocrity as time goes by or that it may well get to slide up the list to whole new levels of perceived awfulness? I finally went to see my first 3D film this afternoon, accompanied by Nina who was going to the cinema for the first time. Quite how I've managed to avoid it so far I'm not really sure, except for the fact that Avatar just doesn't appeal somehow. I've been wanting to take Nina to the cinema even as far back as when she was just a twinkle in my eye, but it's difficult to find films that are age appropriate for a 3½ year old, it takes so little to scare her, and so I'd neither wanted to take her to a film I didn't know, or have to sit through a load of dross several times over before finding something suitably innocuous. Plus I was a little worried about the experience (she's a bit afraid of the dark) so having something familiar was beneficial in numerous ways. Given all this, my wife and I thought for a while that it might be better not for her first trip to the cinema to be for a 3D film. After all going from that to a 2D film might seem a bit of a comedown. And then it dawned on me - perhaps because of the success of Avatar - that most, if not all, of films she sees in theatres might be in 3D. After all, it was a long, long time until I saw a black and white film in a theatre. I find that a weird thought. I guess most film generation has such new technological innovations. First it was moving pictures, then talkies, then colour, now 3D. It did however highlight a number of ways in which the way the new technology has yet to bed down. 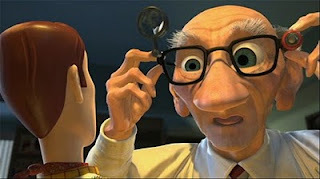 Since Toy Story was made long before 3D it's not so much a 3D film as a 2D film converted to 3D. The contrast between it and the trailer for the 3D Alice in Wonderland was striking. In just a couple of minutes the trailer felt the need to throw various objects at the audience, which did look pretty cool, but got dull pretty quickly. It suggests that the new technology is yet to fully find it's feet. Things coming out of the screen at you will appeal for a while, but people will tire of the gimmick. I suspect that as use of the technology matures we will see less flying out at the audience and more subtlety. This was also highlighted by the way Toy Story 2 has similarly showy use of technology. Early in the film we are introduced to a real dog. The dog has little role in the plot, and so his inclusion comes across (with hindsight at least) as similarly showy. "Look what we can do with CGI now" etc. The other thing that struck me is that theatres need to do a better job with the product. The cinema we went to only had one size of glasses, which were quite unsuitable for a 3½ year-old, and as a result Nina watched the second half of the film in blurry 2D (and didn't seem to mind). For me I found the middle of the screen OK, but that the edges were a little odd. These are basic and fairly easy problems to correct - particularly compared to the changes that were required for the introduction of talkies - so they need to be made soon. The pictures might look impressive, but people are going to be put off if the glasses are too small, or too heavy, or only fit average sized people. The 3D glasses industry must have made a huge profit last year. They need to reinvest, and theatre owners need to put the pressure on to ensure that they don't erode this new competitive advantage. 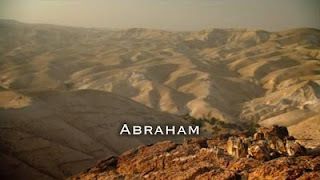 Following on from Howard Jacobson's look at Creation in last week's The Bible: A History was Rageh Omar's look at Abraham, and the three monotheistic faiths that all trace their roots back to him. It was familiar territory for Omar, brought up a Muslim in nominally Christian country (the UK), who has explored relationships between Christians, Muslims and Jews in various other documentaries before. Whilst the production values were similarly high as in the first programme in the series, it felt somewhat more tangential than the opening instalment. It was certainly interesting enough in its own way, but it felt less to do with the Bible per se and more to do with two religions that follow it and a third that doesn't. Even then though, I didn't feel I came away with a greater understanding of what the Qu'ran has to say about Abraham. There was some interesting material - the overview of Sumerian culture towards the start of the programme, and the way in which the story of Abraham may have spoken to the Jews exiled in Babylon in the 6th century - but these felt like the exception rather than the rule. None of which is to say that the relationship between the three faiths isn't important. It is, massively so. But it didn't really feel like this was a show about the Bible that talked about related issues; more a show about one of those issues that happened to mention the Bible. In fairness, it's become clear to me now that this criticism could also be levelled at the first programme, with the major difference being arguably only my own interest one issue as against the other. So it will be interesting to see how next week's programme - Anne Widdecombe's look at Exodus and the Ten Commandments - fits with this trend. The preview at the start and end of this week's offering promises Widdecombe's exploring how God's big ten came to underpin Western law, as well a confrontation with an angry sounding Stephen Fry (in which Widdecombe can surely only come out looking second best). 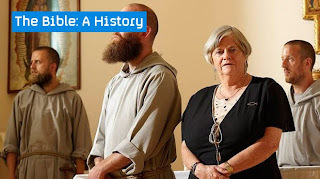 It shall be interesting how much this programme actually ends up being to do with the Bible, not least because Widdecombe is the first Christian in this series to be presenting an episode. Incidentally, under the 4 on Demand page for each episode numerous viewers have offered their own thoughts on the programme. As you might expect there is more than a little ranting from some quarters.